As a first time mom I have always followed the rule that a dry baby is a happy baby. I have always loved using Pampers diapers especially overnight because they keep my daughter super dry. Don't you just love when babies wake up with a smile on their face instead of with a cranky little face? 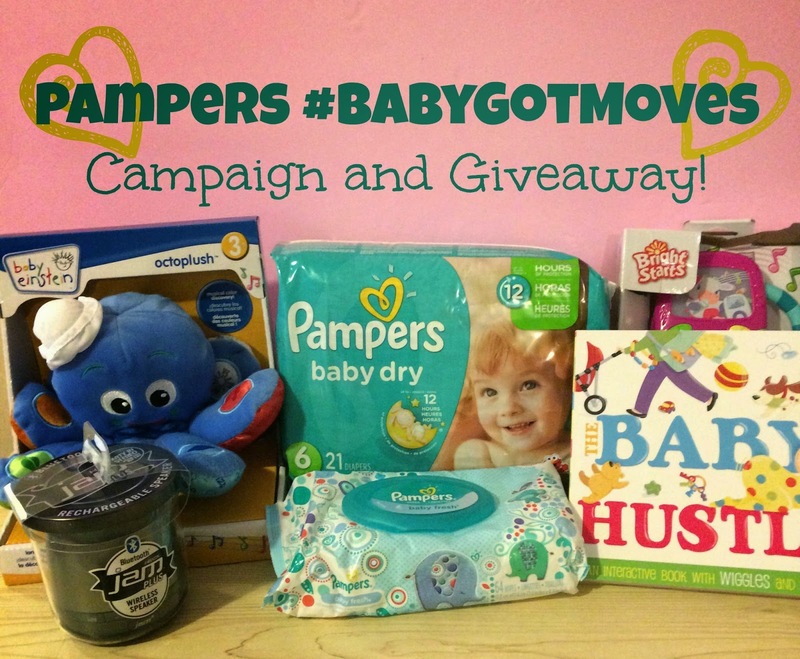 Pampers is helping keep babies happy with their #BabyGotMoves campaign by keeping them dry. Parents can upload videos or photos of their happy dancing babies to Instagram, Twitter and Facebook using hashtag #BabyGotMoves. The uploaded videos have a chance to appear in a shareable compilation video created by Pampers. My daughter loves dancing and will go around and around every time she hears her favorite song "Happy" by Pharrell Williams. I think I might have to put her in ballet classes really soon! What a great giveaway! Pampers diaper is the number one trusted brand here in our country and my son also use pampers form 1- 2 years old. This would be for my grandson if I won. Oh my goodness is he a good dancer, he would crack you up if you seen him. What a great giveaway! 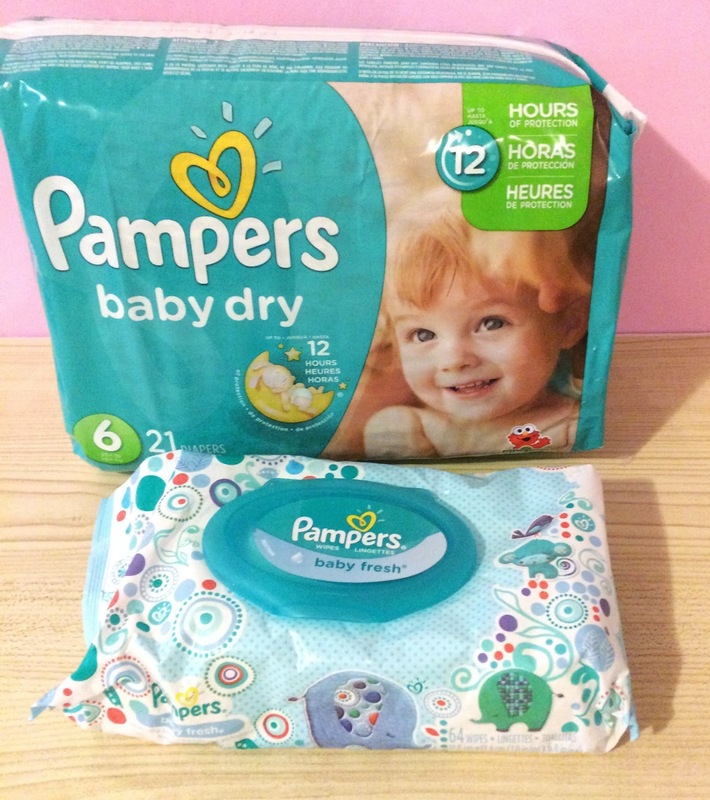 I'm happy to see you are very happy with Pampers- I just ordered a case of them for my friend's baby shower! My baby girl loves music. She loves dancing and being active! My 18 month granddaughter loves to dance and sing, this would be for her. Thank you! Paula C.
I'd love to win for my 10 month old! She loves to dance! That's an awesome giveaway! Thank you, we love Pampers! I would share this. Give some to my girl but part of it to one of my friends who has a 2 year old that could really use this. My friend could only use pampers on her son. They were the only ones that worked well for them. 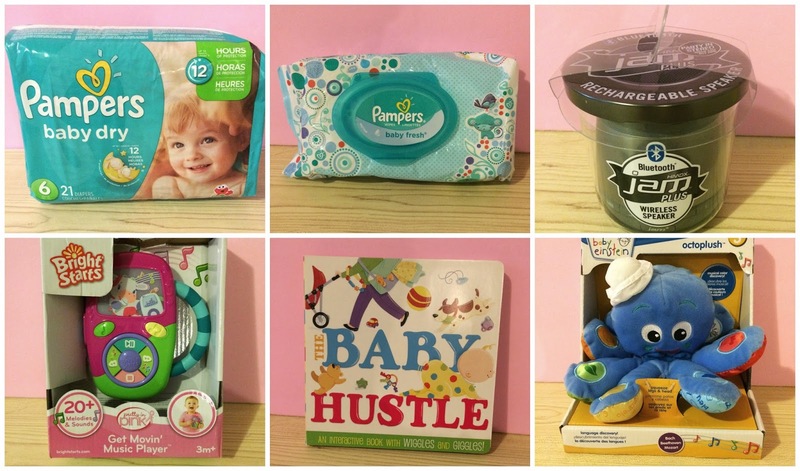 Great prize pack for little ones! I would win this for a great shower gift for my friends. I LOVE this promotion. If only for dancing babies. Anything featuring dancing babies is awesome. What a great giveaway. We always used Pampers when my son was little. Dancing babies are always cute. This is an amazing campaign, though I don't have anyone I could win this for! I know some moms who could use this. I'll be sure to pass the contest along to them. Pampers is such a great brand! My little one loves to dance and play all day in her diapers. They seem very comfortable as well. What an awesome giveaway. I have 2 babies and 2 toddlers nieces and nephew. I'm sure their parents would love this. These are some really great baby products, going to share it with my few friends who are currently pregnant and could use them more than I could. The greatest day is the day after you buy your last diaper! What a great giveaway for parents. 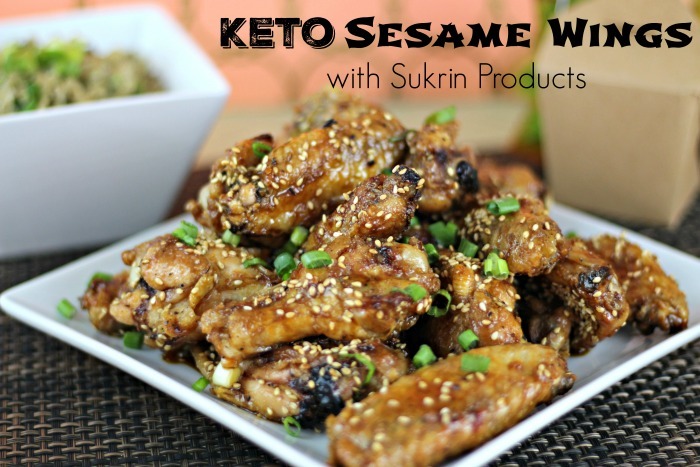 I've used their product before, and it worked very well!! I am going to have to buy a bag of these diapers! My son is ALWAYS waking up in pee because I cannot find anything that will keep him dry. Pampers diapers have come a long way. This is a trusted brand that is continuously innovating to produce products that are satisfying. They don't only make babies happy but also the parents worry-free. We will be needing all yhe diapers we can get our hands on soon. Yhis a great give a way! I would love to win this for my 9 month old baby girl! We love Pampers products. She also is learning how to dance, so this would be fun to win for her. Thanks for the opportunity! For my cousins twins and they are awesome dancers. I am wishing I had a baby, so my little one can enter. I see all the cute little babies dancing and they are adorable. What a great bunch of products for Moms. I hope I win the giveaway! So entering for my cousin since she is almost due soon!! Awesome giveaway! 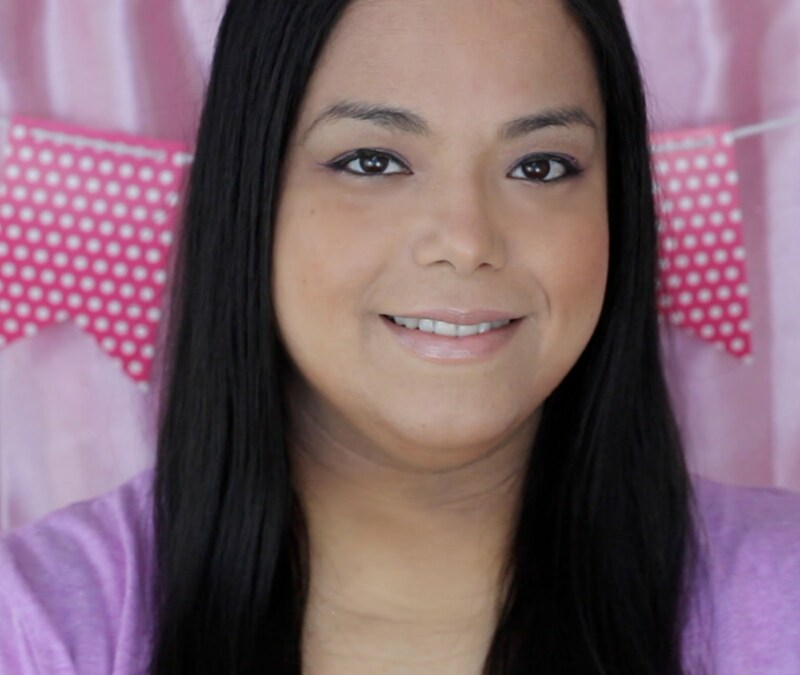 It's great that you are doing a giveaway for such a much needed item for moms. I wish the companies would just make them cheaper. I'd love to win for my 2 year old, she has great dance moves! And for baby #3 that's due in March! I would love to win this for my 15 month old. He would have a blast with that Octopus. I would love to win this for my soon to be born niece. Given how much she kicks I would say she is an excellent dancer. I'd love to win this for my two boys. They love dancing especially to Everything is Awesome song! I would win this for my 2 year old daughter and she's an awesome dancer! I would like to win this for my new nephew, and I'm not sure if he will be a good dancer yet or not. I would love to win for my daughter. She is more of a jumper than a dancer. I would love to win this for my little guy. He is too young for dancing. It would be a toss up between grandchildren. And are they good dancers? Umm well..... all that matters is that THEY think they are. This would be for my daughter, she doesn't dance yet. I'd like to win this for my son. He can't dance yet, but I bet he'll be a great dancer! My son is four months and would love this. This would be perfect for my friend's son, who is a fabulous dancer! I would love to win this for my youngest son. He is a great dancer! He loves just about any type of music. I would love to win this for my niece!! she loves to dance all day long!! It looks like I'm little late to the party. The contest is over!